In recent years there has been a great deal of attention paid by researchers in investigating ionic liquids (ILs) mainly due to the tremendous potential that ionic liquids have in reaction and separation technology. 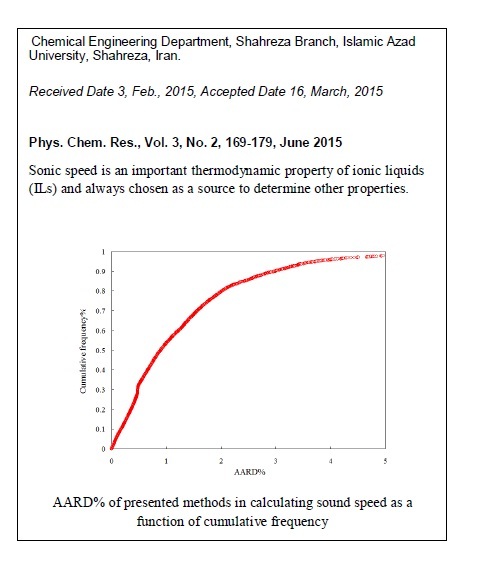 Sonic speed is an important thermodynamic property of ionic liquids (ILs) and always chosen as a source to determine other properties. A database for the sonic speed of pure ILs created by collecting experimental data from literature covering the period from 2005 to 2013 is presented. 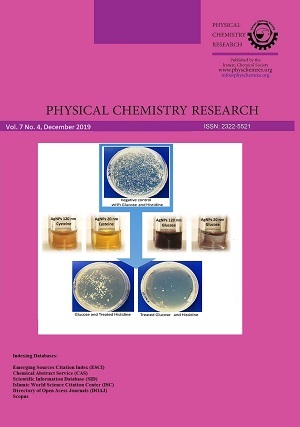 In this study, based on sonic speed experimental data, for the first time the relationship between boiling temperature, reduced temperature and pressure for 2198 data of 29 ionic liquids covering wide ranges of temperature, pressure, and sonic speed has been examined. In results, a 6-parameter model with ability for predicts the sonic speed of ionic liquids is presented. The obtained model has an average absolute relative deviation (AARD%) of 1.30%,a determination coefficient (R2) of 0.987, and a root mean square error (RSMD) of 1.85.